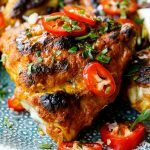 Easy chicken tikka masala thighs are a great way to get all those glorious curry flavors without all the fuss. 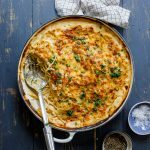 Serve with Naan and raita for an easy feast. So you know by now that I love a cooking shortcut. Especially on weeknights when no-one has time to spend hours in the kitchen. 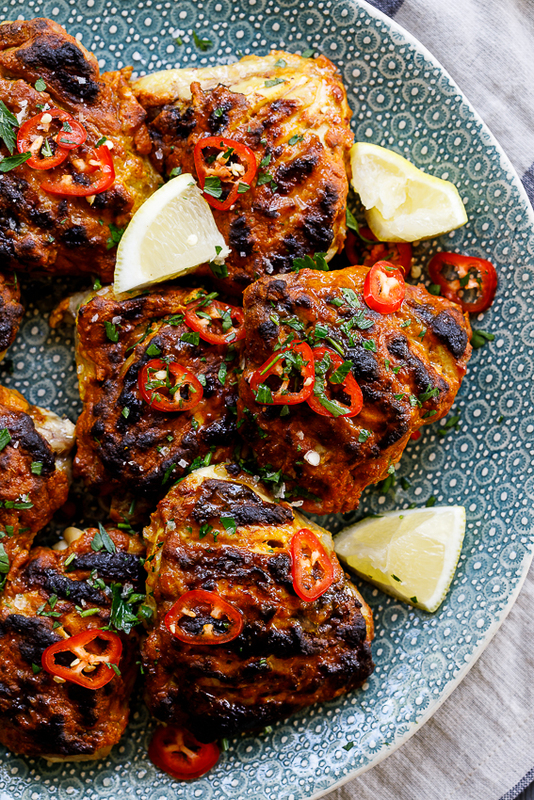 And this easy chicken tikka masala thighs recipe is right up my alley. 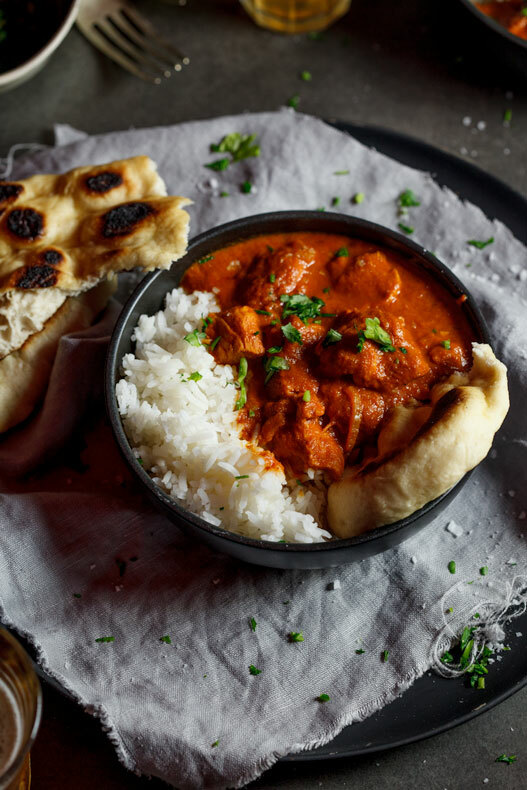 Not only does it use chicken thighs, which I LOVE, the easy tikka masala paste you slather them in results in the most delicious, finger-licking chicken. 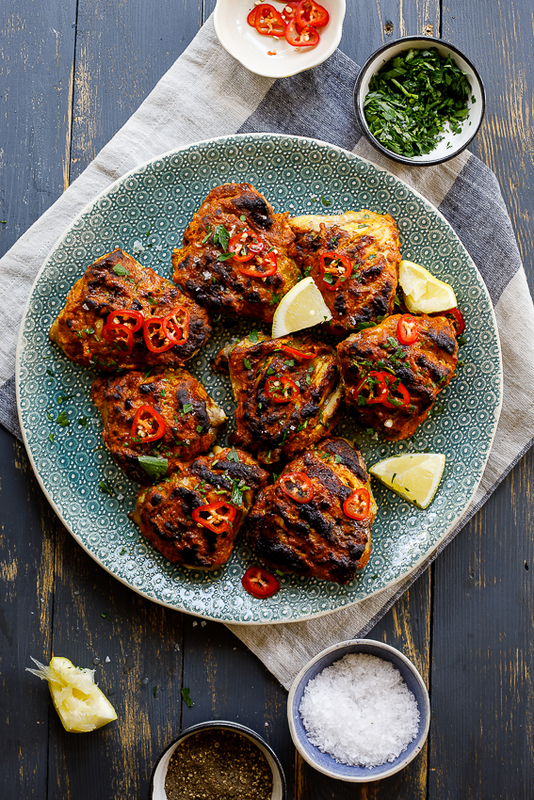 It’s the kind of recipe I prep in the morning while I have a second and the marinade gets to work its magic throughout the day and then around 45 mins before dinner time I just pop the chicken thighs into a hot oven and serve the juicy, aromatic chicken with pillowy naan bread, some cucumber raita and a quick chopped salad. It’s SUCH a good dinner and guarantees empty plates every time. Plus, the leftover chicken is pretty awesome the next day too! 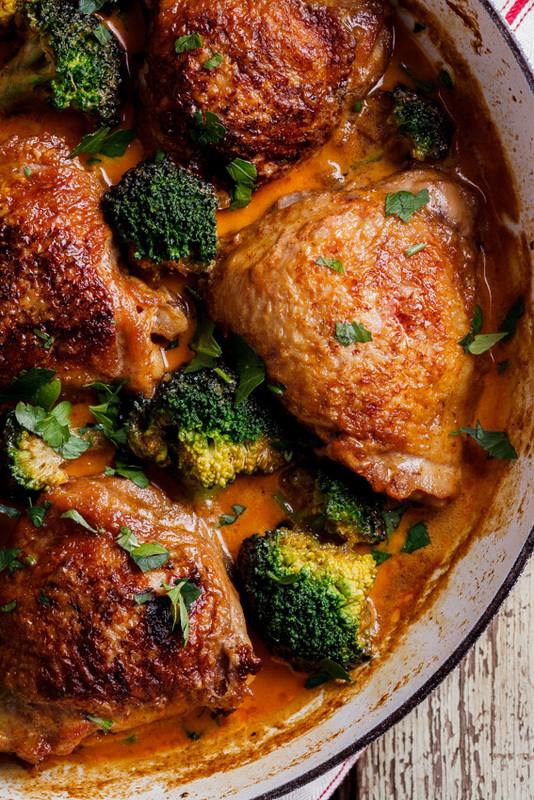 Combine all the ingredients (except for the chicken) in a blender and mix until smooth. 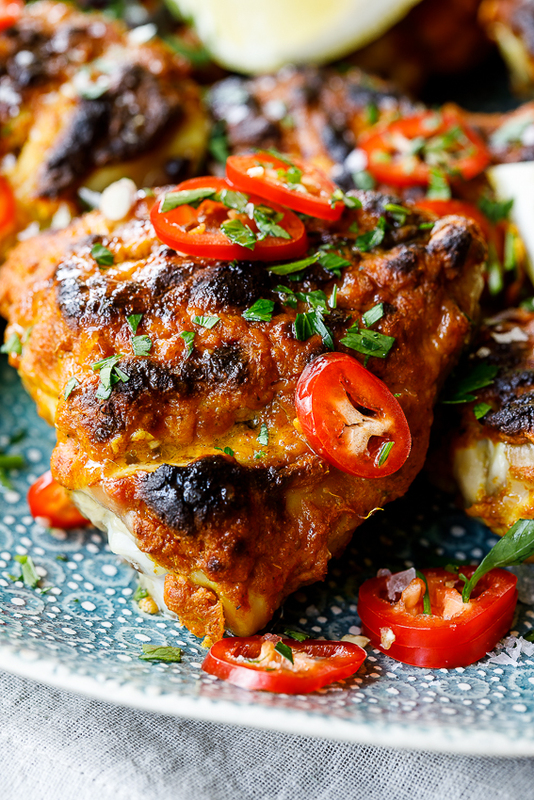 Cut a few slices into each chicken thigh then place on a wire rack over an oven-proof dish. Place the chicken thighs on the wire rack then pour over the curry paste/sauce. Push the sauce into the slices then place into the oven. Allow to bake for 25 mins then turn on the grill/broiler and allow the top of the chicken to caramelise. Remove from the oven and allow to rest for 5 mins before serving. Really fantastic & brilliant. Just love this a lot. Thanks for sharing. Wish you all the best. Made these thighs over the weekend for lunch with friends and they were a hit. The chicken was so tender and we served it with Naan and yoghurt sauce like you suggested and it was perfect. Such a great meal. 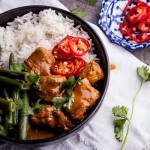 I made this recipe for dinner last night and was pleasantly surprised. The spices added so much flavor and the chicken was succulent. Great recipe. I’m so happy to hear that Sam. It’s a family favourite! This looks like such a winner. I love chicken thigh dinners Alida. And I know this one is packed with flavor! It is! So delicious. 🙂 Thanks Mary Ann!